The end of the summer is near, but that only means football is right around the corner. 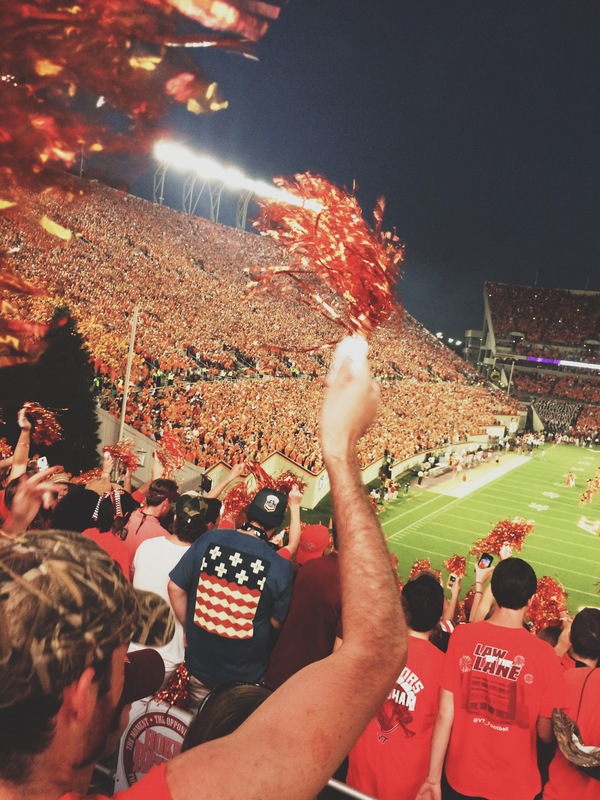 This past weekend was Virginia Tech’s first football game of the season. On Labor Day, we played Ohio State, which was intense! When we beat Ohio State last year, all of Blacksburg went crazy! So we had some pretty big expectations to live up to again this year. At the half, we were up 17-14, but our QB, Michael Brewer, injured his collar bone. The final score sadly ended up being 42-24 in Ohio’s favor, but it was still a great game to start the season with! There were so many events prior to Monday night’s game that were “hyping” the Hokies up for the game. 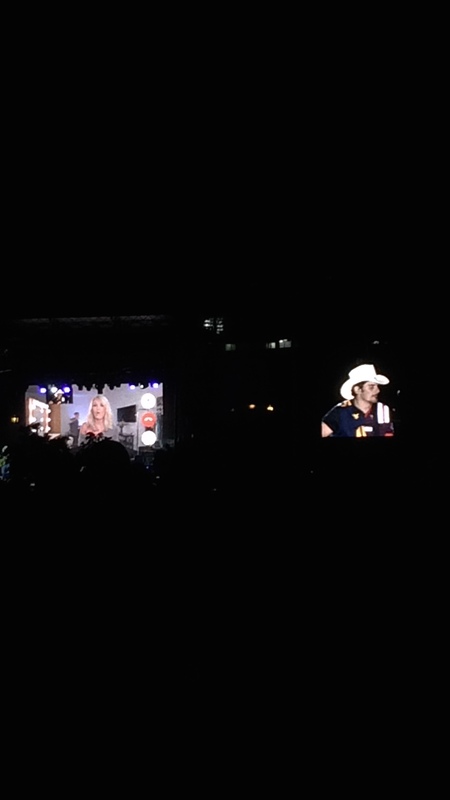 Brad Paisley put on a free concert in Cassell Coliseum’s parking lot the night before the game and it was amazing! My friends and I were pretty far away from the stage, but it was still a great time! This was the part of the show where he FaceTimed Carrie Underwood to sing their song, Remind Me. Lane Stadium is is where the magic happens. It’s packed full of students, alum, and just plain ol Hokie fans jumping to Enter Sandman, screaming at the refs, and cheering “Let’s Go Hokies”. Lane was PACKED for this game, we were crammed against other students in the bleachers, but it was still an amazing first game!